Dr Kamisha Cleaver graduated from Southern Cross University in 2012 with a Masters of Osteopathic Medicine. 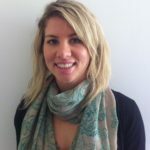 Kamisha has a strong interest in Osteopathy in the Cranial Field (OCF) as well as biodynamic osteopathy and has done post-graduate training in both. Kamisha has completed her level 1 yoga teacher training and additional prenatal yoga teacher training. Dr Cleaver is fully registered with the Australian Health Practitioner Regulation Agency and a member of Osteopathy Australia.